Based on Hill's 2013 best-selling novel of the same name, NOS4A2 follows Vic McQueen, played by Cummings (The Goldfinch), a gifted young woman who discovers she has a supernatural ability to find lost things. This ability puts her on a collision course with the evil and immortal Charlie Manx, played by Emmy-nominee Quinto (Star Trek, American Horror Story). Manx is a supernatural villain who feeds off the souls of children then deposits what remains of them into Christmasland - a twisted place of Manx's imagination where every day is Christmas Day and unhappiness is against the law. Vic strives to defeat Manx and rescue his victims - without losing her mind or falling victim to him herself. The upcoming NOS4A2 Season 1 AMC release date is June 2, 2019 in the US. 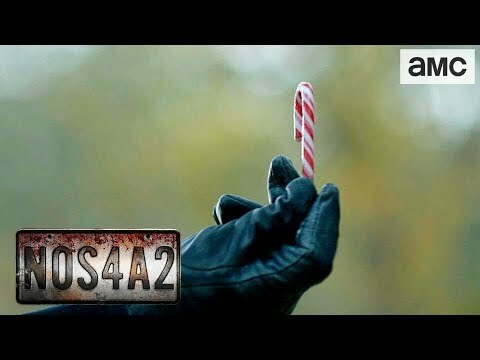 Notify me when NOS4A2 Season 1 is available.